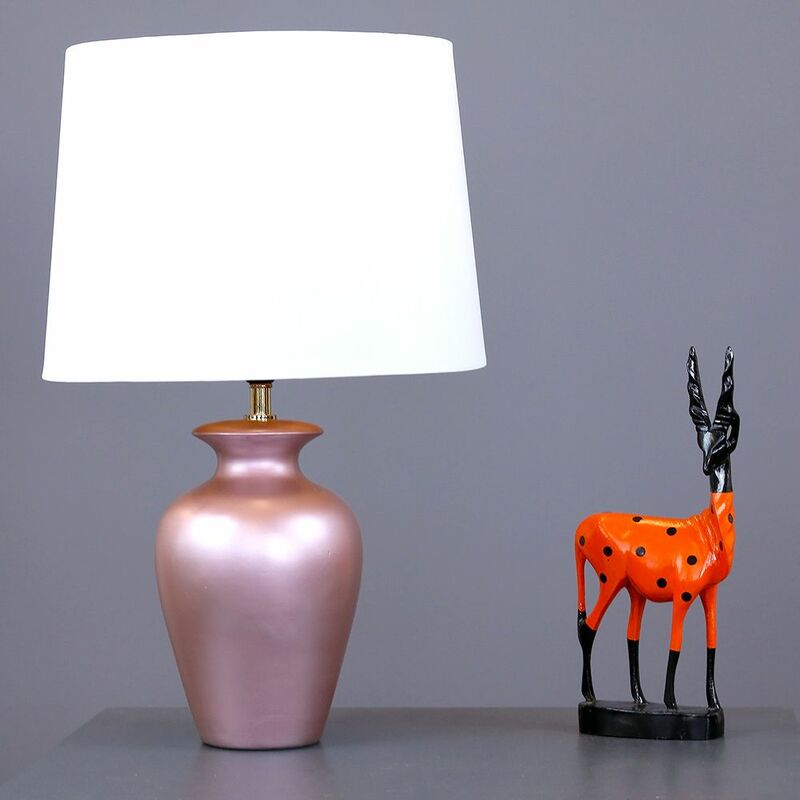 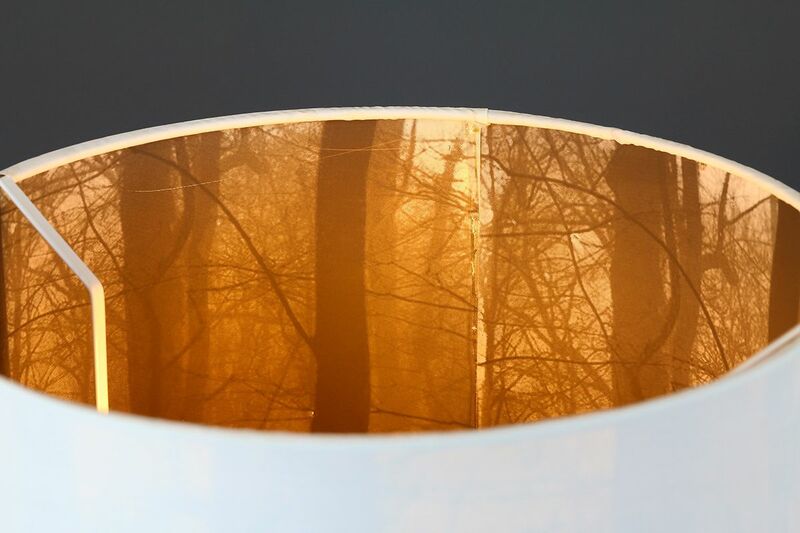 Ceramic table lamp in contemporary rose gold with cream lamp shade featuring a winter woodland scene which is highlighted when the lamp is switched on. 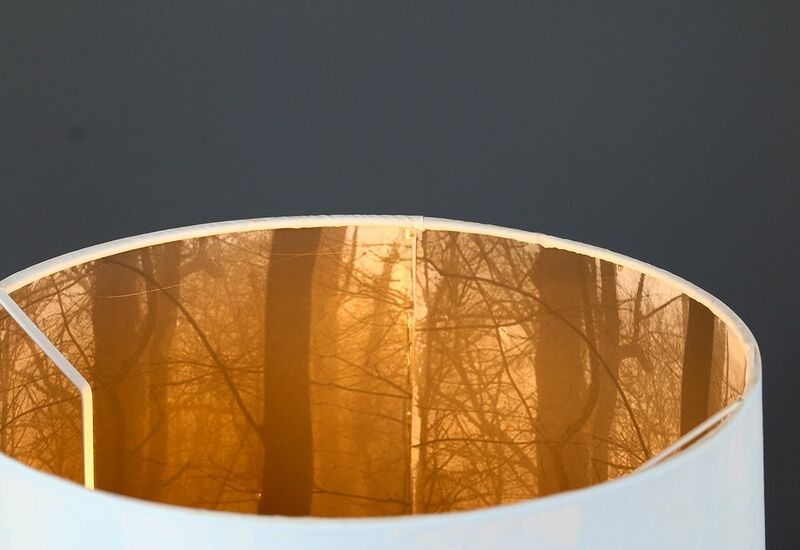 Would look gorgeous on a side table in the hall or living room. 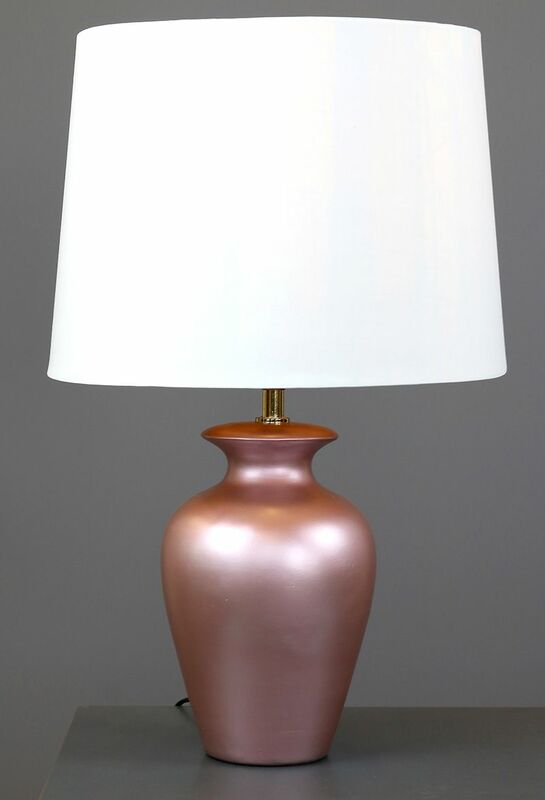 The base and the shade can be purchased separately.